Money. That’s one of the major reasons you started your own blog in the first place, isn’t it? Apart from the joy of writing and the freedom of being your own boss, earning some fair bit of money is the biggest motivation behind this entrepreneurial step you take. You must have already heard about stories of people earning huge amounts of money from their blogs. They are all true. According to the 2017 report, the owner of the popular blog, shoutmeloud.com, Harsh Agrawal earns around 34,390 USD per month solely from his blog, Faisal Farooqui of mouthshut.com earns 8000 USD per month, Amit Agrawal makes around 50,000USD from his highly popular technology blog, labnol.org and the list just goes on. Thus, one thing is clear: Money is big in blogging. But how do you make it? 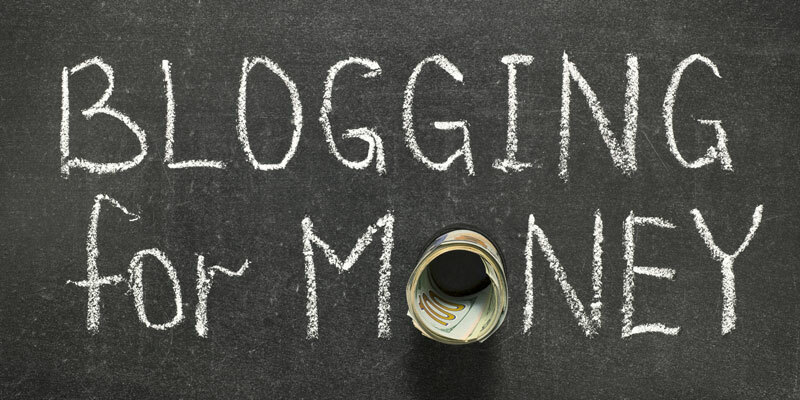 To help you, here we bring you some time-tested ways to make money from your blog or website. A self-hosted blog: A free WordPress blog does not give you options to monetize your blog. So, get a self-hosted blog with a good host like HostGator, BlueHost, etc. Good content: No matter what theme or niche you choose to write about, make sure you are providing unique content in great packaging to your audiences. Audience: Whichever method/s you choose to make money from your blog, you can’t do it unless you have a decent size of loyal audience for your site. Thus, you need to promote your blog on social media sites like Facebook, Twitter, Instagram; you need to optimize your blog so that it comes up in Google search; and publicize it any other way you can think of. Build your email list: This is how you get your one-time visitors to become your loyal readers. We have done an entire article on the importance of building an email list. The most popular and straight-forward way to make money from your blog is through ads, and Google AdSense is the most widely used method to go about it. Just get an AdSense account, and Google will start showing your readers some truly relevant ads based on their searches and interests. You can earn in two ways through AdSense: 1. Based on impressions (i.e. how many page views you get) 2. Based on clicks (i.e. how many people clicked and bought via your ads). You can use AdSense if you have a self-hosted WordPress blog, or a free Blogger.com blog, but not if you have a free WordPress blog. How much can you earn from AdSense? Well, Srinivas Tamada, one of the most successful bloggers in India, was earning around 6000 to 8000 USD per month in 2016. After ads, affiliate marketing is the second best way to earn money through a blog. It basically involves promoting someone else’s product/ service on your site and earning commission on every click, sale or lead you generate for the merchant. You can either become an affiliate partner of each individual merchant directly, or you can join a network like Cuelinks, where you can be an affiliate partner of over 500 merchants with a single account. All your links are automatically converted into affiliate links by Cuelinks; the tracking, link management and payments is all taken care of by Cuelinks. In fact, Cuelinks also has something called Cuewidgets, which is like AdSense ads. You get readymade codes which you can place anywhere on your blog to display ads with affiliate links. However, affiliate marketing is more subtle in nature, so you have to follow some tacit rules while using it to make money from your blog. E.g. it’s always a good idea to promote products/ services relevant to the theme of your blog, write reviews and recommend products/ services that you have personally used, and post disclaimers wherever needed. It works pretty much like TV ads or outdoor hoardings- charging for the ad space you can provide. Your blog and the traffic it attracts are an asset. Merchants will pay you money to dedicate some real estate of your blog pages to banners of their products and services. You can start a banner advertising campaign with Google Adwords or any other display network or by approaching brands directly. There are static ads and there are animated ads. Then there are fixed sizes of ads and fixed positions, where you can place the ads on your blog pages. The more people click on the ads on your blog pages, the more you earn. If you are a fashion blogger, you can collaborate with fashion websites or brands to write reviews about their products and services, and influence your reader to buy them. As a travel blogger you can write reviews about airlines, hotels, resorts etc. or you can do paid reviews for various gadgets on your tech blog. However, getting paid to write for brands can only happen when your blog or website has made an authority in its niche and has a steady stream of loyal readers every month. Also, make sure your posts/ reviews appear natural and unbiased, because Google penalizes unnatural and unpaid links. There are various websites for this too, where you can find products and brands that will pay to write reviews. If you have something truly interesting, useful and/ or entertaining to offer content-wise, getting people to give away their email addresses is relatively easy. Readers often opt in to e-newsletters in exchange for valuable content. Once you have a good list in place, it becomes a steady source of income quite easily. Firstly, these email addresses generate regular page views thus indirectly boosting the chances of increasing your earnings. Next, your email newsletter also has prime real estate that can be sold for ads. The longer your email list, the more you can charge brands for banner space in your newsletter. Such a co-branded newsletter also leverages your reputation for quality content. Another way to monetize your blog/ website audience is to enter a co-registration arrangement with related brands/ companies. E.g. if you are a food blogger, you can invite your readers to opt in for discount alert emails of grocery shopping websites or kitchen appliances brands. Again, you can either enter in direct partnerships with brands or you can get help from networks. You can also rent out your email list i.e. send promotional emails created by third party brands/ companies to your audiences in exchange of a flat fee. However, remember that you have to offer value to your subscribers to ensure they do not start opting out of your list. As blogging flourishes, brands have started getting paid articles about their products and services posted on popular blogs. This is called guest blogging. It is becoming increasingly popular because guest blogging helps gain quality traffic and subscribers; build backlinks; gain exposure, credibility and trust in a brand. Thus, once you have established yourself as a blogger, you can host sponsored posts on your own blog or you can write articles for other blogs for various brands and companies in exchange for money. How much you earn from sponsored or guest posts really depends on your ability as a writer. The faster and more quality articles you can deliver, the more clients you can make, the more money you can earn. People have made tens of thousands of dollars by guest blogging. To start getting paid for guest posts, you first have to do some free guest posts. Then you can search for paid opportunities on Google, contact SEO or marketing companies, checkout freelancing job boards, or search the social media to get more clients. RSS or Really Simple Syndication is a great way to put your content on blogging networks. However, it is also a great way to make money from your blog or website. It works pretty much like Google AdSense but is a lot more SEO friendly and useful to your readers. Through RSS Feeds you can show your readers ads and content related to your blog theme. Once you have 10 to 15 RSS feeds in place on your blog, it will start pulling fresh, valuable content regularly, thus converting your blog into an ever-changing, dynamic webpage. Just download a free RSS Feed creator software, set it up on your blog, get the RSS Feed code of relevant sources that resonate with your blog/ website, and see your search engine rank and your income soar. The better your blog performs i.e. the more traffic it attracts, the more brands and companies start noticing you. They may then approach you for doing paid seminars and/ or webinars for their customers. They may also seek your help to sell their e-books or online courses or other products and services directly for a commission. This is just an extension of affiliate marketing. This is probably the final phase of monetisation for your blog, and it comes only after you have established your blog as the go-to place for a particular topic i.e. your blog has become an influencer in that niche. Brands often seek partnerships with such influential blogs. In this case, brands will pay a really good amount to mention them in the header or sidebar or have a cross-branding across your whole blog. Making money from a blog takes a lot of patience, but it is highly rewarding in the long run once you get going. Obviously, you cannot start out with all of these above-mentioned ways to make money from your blog, but over time you will know which method works best for you and when to take it to the next level. If there are any other ways that you are making money from your blog, do share it with everyone in the comments section. After all, we are all here to help each other out. To keep yourself updated and get more information on the best ways to monetize your blog; stay tuned to this blog and/ or sign up with Cuelinks. Great post to help beginners. well formatted and information enriched. Thanks for the info! I am a new blogger – just a month in right now. The dream is to eventually be able to do it full time, but that is a long way off. I know it will be a lot of work, but I’m committed to seeing it succeed. I hope to be able to monetize soon! Nicely put up over here, good post for beginners. Nice post i have one question could you right a blog on how to promote cuelink product link to social media marketing. After signing into your Cuelinks account, go to Resource Center > Link Kit (on the left hand menu bar). You can create affiliate links of various products and services using this tool and promote those links on social media. However, you have to make sure that the merchant allows promotion via social media or not. The information of what a merchant allows or does not allow is given on the campaign page of each merchant on Cuelinks. Thank you for the appreciation, everyone. Cuelinks runs a number of campaigns with stores in the US, UK and other foreign countries. Thus, you can easily monetise your content with Cuelinks no matter where your traffic is from. I have a facebook group where I promote relevant products. I already promote amazon directly, but cuelinks does not seem to work too well. Help!!! Please get in touch with [email protected] to sort out your concerns.